ATLANTA -- Georgia's utility regulators are allowing construction to continue on two new nuclear reactors despite massive cost overruns for the multibillion-dollar project. Thursday's unanimous decision by the state's Public Service Commission will shape the future of the nation's nuclear industry, partly because the reactors at Plant Vogtle were the first new ones to be licensed and to begin construction in the U.S. since 1978. Georgia Gov. Nathan Deal praised the decision. "Investing in clean, sustainable energy infrastructure is a worthwhile endeavor that will have a positive economic impact as well," Deal said in a statement shortly after Thursday's vote. "It is important that we stay the course," he added. Andy Crosson, executive director of the Central Savannah River Area Regional Commission, told CBS affiliate WGCL-TV that about 5,500 jobs would have been in jeopardy had construction been halted. The Sierra Club, meanwhile, slammed the vote, calling the project a disaster. Group director Ted Terry said the project should have been halted. But Georgia Power said the PSC decision was important to the energy future of Georgia and the U.S. In a statement, Georgia Power chairman, president and CEO Paul Bowers said, the PSC "recognized that the Vogtle expansion is key to ensuring that our state has affordable and reliable energy today that will support economic growth now and for generations to come." The project, co-owned by Georgia Power, Oglethorpe Power, MEAG Power and Dalton Utilities, has been plagued by delays and spiraling costs, compounded when the main contractor filed for bankruptcy. Westinghouse Electric Co., the U.S. nuclear unit of Japan's Toshiba Corp., filed for bankruptcy in March. 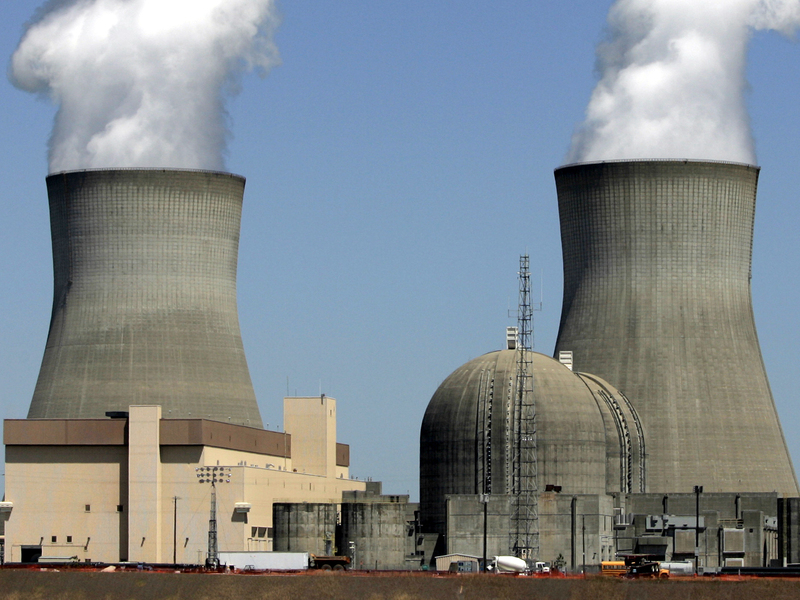 The reactors, approved in 2012, were initially estimated to cost a total of $14 billion. Regulators tried to make nuclear reactors easier to build, encouraging the use of off-the-shelf designs that could get approval in advance. New construction techniques were supposed to require less in-the-field assembly, making building quicker and reducing human error. But by July 2012, the reactors had run into over $800 million in extra charges related to licensing delays. Later that year, officials said construction was expected to be delayed seven months. In February 2013 Georgia Power asked to raise its share of the Vogtle construction budget by $737 million to $6.85 billion. By May 2015, regulators said there was a "high probability" that construction would be delayed even longer than the three years already announced by the owners, according to an analysis obtained by The Associated Press. Estimates from regulators at that time put the utility company's costs at $8.2 billion. The rising construction costs hit an industry already under financial pressure, after 2011 a tsunami in Japan triggered meltdowns at the Fukushima Dai-ichi nuclear plant. Meanwhile, the price of natural gas dropped, lessening the incentive to build new nuclear power. In South Carolina, Santee Cooper and South Carolina Electric & Gas Co. abandoned the construction of a similar nuclear project in July, blaming the decision primarily on the bankruptcy of lead contractor Westinghouse. Under state law, Georgia Power's customers will ultimately reimburse the state-regulated monopoly for the flagship plant as they pay their monthly electricity bills. That law allows Georgia Power to charge its customers now for the interest it pays on the borrowed money needed for the project. Under an older law, the utility had to wait until the plant was operating to collect those interest charges from its customers, a practice that meant the interest owed grew during the construction period. Cost overruns were also an issue with the original reactors at Vogtle. The cost of building the existing reactors at the site jumped from $660 million to nearly $9 billion by the time they started producing power in the late 1980s.